Whilst on my travels in the Caribbean I have discovered a new found love for Cocoa tea. 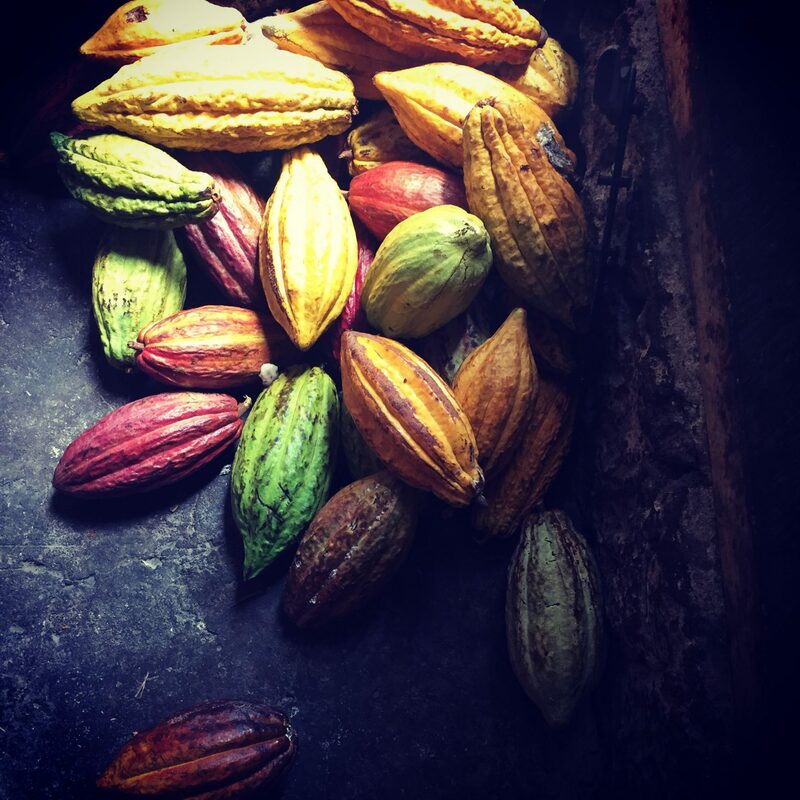 The Caribbean has so many cacao trees and cocoa pods are in abundance, each bearing lots of cocoa beans. These cocoa beans are then harvested, dried, fermented and then roasted. The roasted beans are then removed from the outer shells and become cacao nibs, which are then ground up and rolled up into cocoa sticks. Cocoa tea marries my love for spices and chocolate in an amazing, hot, comforting drink. The best part is that it is actually good for you too as it is full of anti-oxidants from the cocoa combined with the health benefits of the spices. It is so aromatic and pleasant and a real treat to the palate! After spending some time on a plantation learning about the chocolate making process, I am happy to be able to share this recipe with you. It is best to use a cocoa stick (see picture below) for the grated cocoa for its intense natural flavour but if you can’t get hold of one then cacao nibs work just fine. Roast the nibs gently for around ten minutes before adding them to the pan. You can buy cacao nibs from any health store. 1/2 cup of cocoa (grated from a cocoa stick or cacao nibs roasted. In a saucepan, bring the water to boil and add the bay leaf and cinnamon stick to it. Simmer for 3 minutes. Add the grated cocoa powder to the pan and simmer for another 5 minutes. Now add the milk and simmer for a further 2 minutes. Strain the mixture and mix in the condensed milk, vanilla and grated nutmeg and sugar to taste. Hi, I’ve had cocoa tea in the past and love it but I live in London and wonder if it’s possible to buy cocoa sticks anywhere in London. Your blog has made me crave this lovely tea but I can’t afford the trip to the Caribbean just yet!